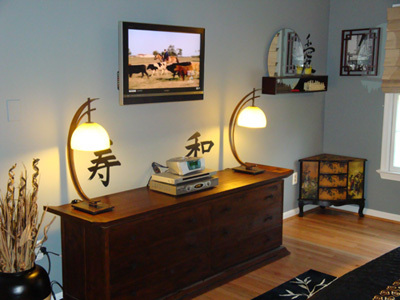 We love our Asian furniture and our customers do too! Read some of our customers stories about their experience purchasing from Tansu.net. Plus see images sent in by our customers showcasing their new Tansu Asian furniture in their home! Leigh - Takoma Park, MD. "It was more than worth the wait. I'm totally in love with it. It has become like a play pen for me and the cats. The delivery guys were great. They had delivered and assembled one right before mine so they already knew how it went together. I thought you guys were professional from start to finish and if you ever need me to offer a testimonial please let me know. " Randi - New Paltz, NY. 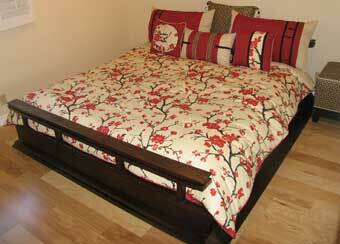 "Hi there, so the bed was delivered and everything went really smoothly for the most part. I love it, it's just the color I was looking for. Thank you for all your help and patience. 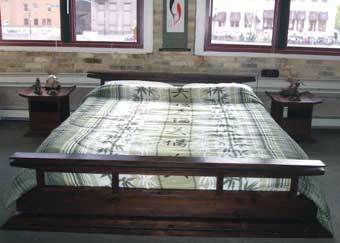 The bed is beautiful, seems sturdy and of great quality. It's really wonderful that it's eco friendly, most of all! I hope your move went well, Take care. " Judy - Manhattan Beach, CA. "Love the bed. Awaiting the delivery of the comforter and pillows any day now. As soon as it arrives, will take a picture and send to you." Thanks for sending these great photos Judy! 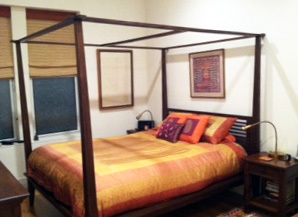 Purchased Tropical Canopy Bed, 2 tropical nighstands, tropical 6 drawer dresser and a vintage sari duvet set! 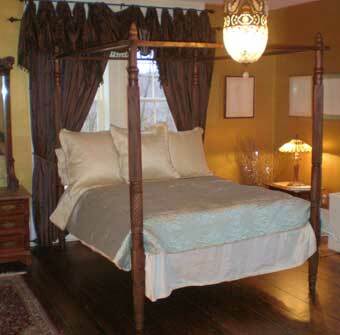 "The canopy bed and matching dresser were exactly the style we were looking for. The construction is solid and sturdy, and the items look better in person than we imagined. 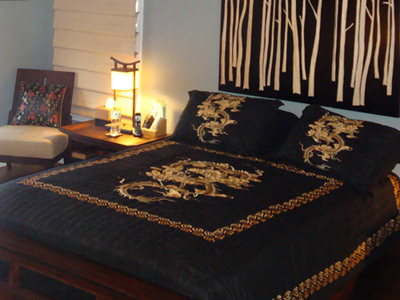 We also appreciate the responsive service that we received from Tansu. " Chris - Milwaukee , WI. Purchased Kondo Japanese Platform Bed, 2 small matching nighstands, Kondo 3 drawer dresser, tower dresser and matching Kondo Japanese TV console. 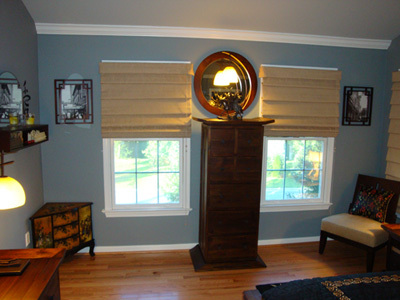 "The furniture is amazing and was worth the wait! The texture of the wood, quality of craftsmanship and Tansu.net Japanese style are exactly what I needed to complete my traditional Japanese home remodel and redecoration. The Java color is perfect. In person, these pieces are truly breathtaking. Ben is super helpful and when one of the dressers arrived with serious damage, he was immediate to resolve the issue and send a new one. I definitely felt that my customer service and satisfaction were number one priority. 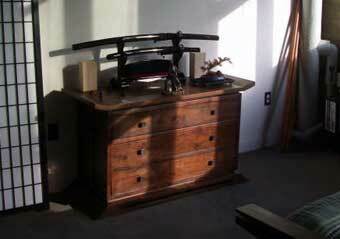 I am already looking to buy more Kondo furniture from Tansu.net to grow my collection! Thanks Ben!" 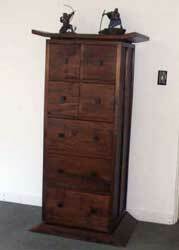 To complete Chris's Japanese home makeover we are currently custom building him a Tansu step chest to match his set. The buffet was beautiful. The finish and tone of the wood was gorgeous. The drawers and the doors were hinged perfectly and the space on all sides was equal – no gaps or binding parts. It really helped when you sent me pictures of two buffets and let me pick the one that fit my décor the best. This picture was true to color and hue. 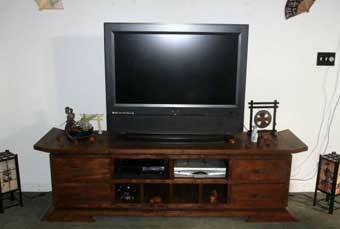 I would recommend you site and products to anyone looking for quality handmade furniture. I wanted to let you know how happy we are with your bedroom furniture and to let you know how appreciative I am that you were so gracious in remaking the bureau. Lots of companies say they put their customers satisfaction first, but few follow through. I was very pleasantly surprised. I want to thank you for your beautiful furniture and your wonderful customer service. You were incredibly informative and patient as I sent you multiple emails while deciding which new bed to purchase. 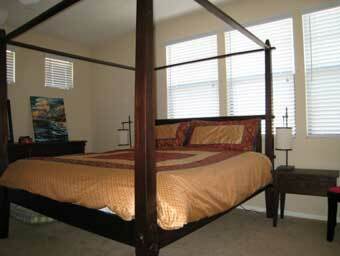 I ultimately chose the Komodo Canopy Platform Bed, and I was not disappointed. 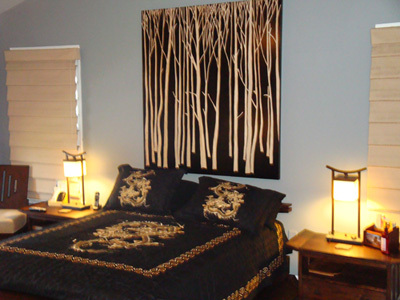 Although it's large for my small apartment bedroom, the design creates drama while the clean lines keep it simple. The attached photo taken with my iPhone really doesn't do it justice. It's an exceptional piece of furniture. When the first bed was damaged during assembly, you sent me an entirely new bed, and had your installation and delivery company come back and disassemble and remove the old bed, then assemble the new bed -- all free of charge! I understand that this was costly for you, since you had to ship the new and old beds cross-country between California and New York, but what you may have lost in profit you gained in loyalty from a very satisfied new customer. I expect that I'll be back as I upgrade other furniture in my home. Thank you, Jerry. 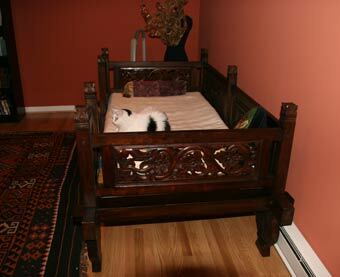 The bed arrived today and was assembled "with tips." :) We don't mind, we love the bed! We were rather anxious about spending so much on a product essentially sight unseen but this bed is even more gorgeous than depicted online. Thank you so much, Jerry. Have a wonderful summer! Are you already a Tansu customer?